Keys recently covered Elle Brazil and the editor of the interview revealed that Keys has on only moisturizer and pink blush in these photos. Damn. Keys says she focuses on having good skin, rather than buying good makeup. Clearly, it’s showing. Her face is the definition of amazing freaking skin care. 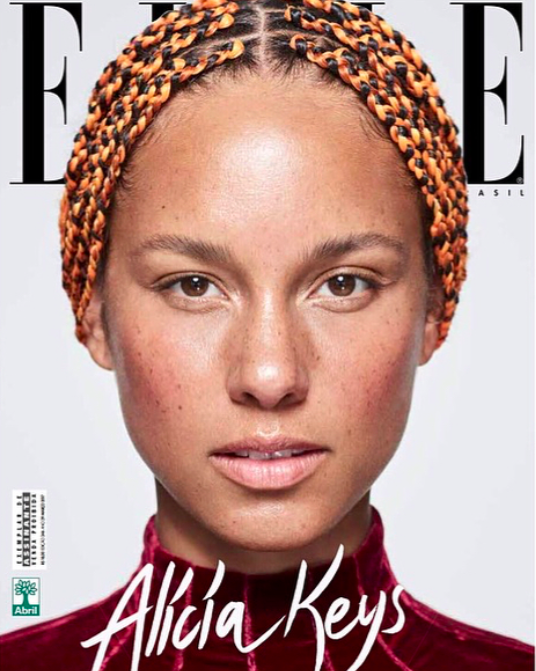 Keys told the magazine that her philosophy to be makeup free is about more than just beauty. "Every time I left the house, I would be worried if I didn't put on makeup: What if someone wanted a picture?? What if they POSTED it??? These were the insecure, superficial, but honest thoughts I was thinking. And all of it, one way or another, was based too much on what other people thought of me," Keys wrote in the essay. Eventually she came to the realization that her own personal happiness required that she be completely bare and vulnerable, in all aspects of her life, including her face.